Part Two of Julie attempting to make the Puritans more accessible to other sleepy mommies. (See Duty to Wives for a much wordier prelude.) 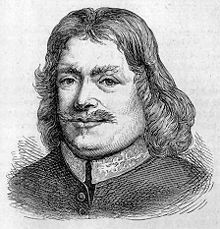 This is another piece from John Bunyan’s Christian Behavior. If you are a parent—a father, or a mother—then you must consider your calling as a believer in light of that fact. Your children have souls, and they must be born of God as well as born of you, or they will perish. Further, unless you are very careful in your behavior to them and in front of them, they may perish because of you: this thought should provoke you to both instruct them and to correct them. Use terms and words that are easy to understand. Don’t talk in pretentious flowery language; that will drown your children. God spoke thus easily to His children (Hosea 12:10) and Paul to his (1 Corinthians 3:2). Be careful not to fill their heads with imaginative and unprofitable things, for this will teach them to be imprudently bold and proud, rather than sober and humble. Talk to them about the innate sinfulness of man; talk to them about sin, death, and hell; of a crucified Savior, and the promise of life through faith: “Train up a child in the way he should go; even when he is old he will not depart from it” (Proverbs 22:6). Work to convince them by reasonable discussion, that the things you teach them are not fables but realities: not only that, but realities so far above what we can enjoy here, that all things, even if they were a thousand times better than they are, are still not worthy to be compared with the glory and worthiness of the things of God. Isaac was so holy in front of his children, that when his son Jacob remembered God, he remembered Him as “the Fear of his father Isaac” (Genesis 31:53). When children can think of their parents, and bless God for that instruction and good they have received from them, it is not only profitable for children, but also an honor and comfort to parents: “The father of the righteous will greatly rejoice; he who fathers a wise son will be glad in him” (Proverbs 23:24-25). See if fair words will win them from evil. This is God’s way with His children (Jeremiah 25:4, 5). Let the words you speak to them in correction be sober, few, and pertinent, always adding some relevant sentence of Scripture; for instance, if they lie, then something like Revelation 21:8, 27; or if they refuse to hear the Word, something like 2 Chronicles 25:14-16. Mix everything you say with such love, pity, and a spirit of anxiousness, that as much as possible, you may convince them that your dislike is not of their person, but of their sin. This is God’s way (Psalm 99:8). Constantly try to impress upon them the day of their death and the judgment to come. Thus God also deals with His (Deuteronomy 32:29). If you are driven to physical punishment, be cautious and clear-headed, soberly showing them a) their fault; b) how contrary it is to your heart to deal with them in that fashion, c) that you do what you do out of conscience to God and in love of their souls, and d) telling them, that if they could have been won over by any other way, that the severe punishment would not have been. In all this you will be sure to not only afflict their bodies, but also their hearts, and since it is the way God deals with His children, it is the most likely to accomplish the desired goal. Pray. Follow all this with prayer for them, and leave the issue to God: “Folly is bound up in the heart of a child, but the rod of discipline drives it far from him” (Proverbs 22:15). Be sure that the sin which you try to correct is not one they learned from you. Many children learn the sins of their parents, the very sins for which the parents beat and chastise. Be careful not to smile at them for small faults, and encourage them, so that your behavior will not be an encouragement to them to commit even greater sins. Don’t use unsavory and ugly words in your correction of them, such as railing at them, calling them names, and so on: this is of the devil. Don’t mix chiding and threatening words with lightness and laughter: this will harden their hearts. Don’t correct them too long or too often, but be relevant and very serious. Skipping naptime? Proceed to Hell.